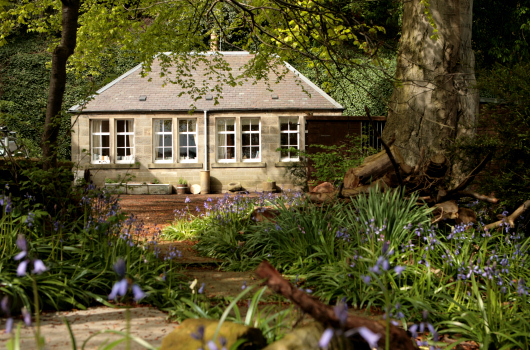 Nestling in five hectares of private woodland on an elevated south-facing location, Northcliff overlooks the River Forth and has unique, uninterrupted views of the famous World Heritage Forth Rail Bridge, plus the two road bridges: the Forth Road Bridge and the new Queensferry Crossing. Northcliff House is a B-Listed building and dates from 1821. 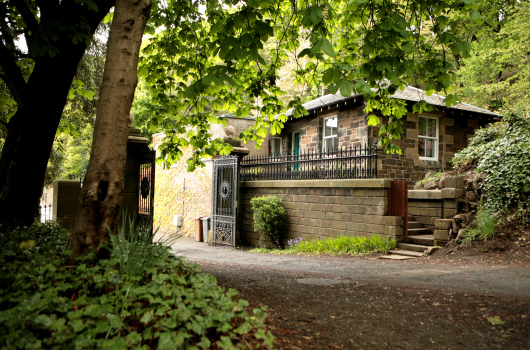 It has been converted into apartments and, along with the cottages within the grounds, offers quality self-catering serviced accommodation in a peaceful setting, away from the constraints of hotel life. 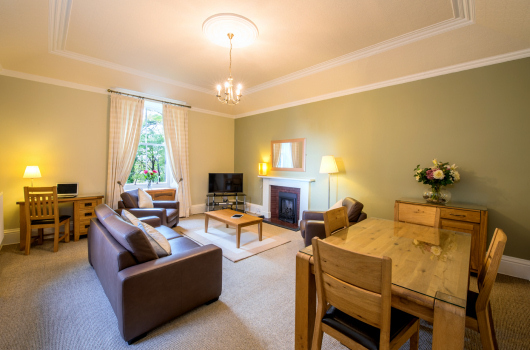 This makes for an excellent central but secluded base for guests working in, or visiting, the Edinburgh area. 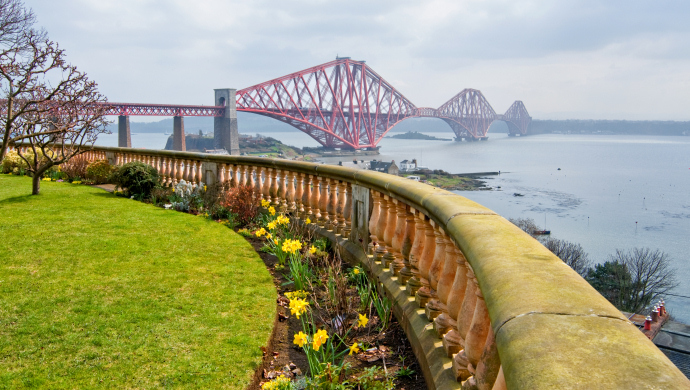 Northcliff is perfectly placed in North Queensferry, with easy access to Edinburgh, Edinburgh Airport, Dunfermline, Rosyth, Grangemouth, Mossmorran, and all business centres in central Scotland and Fife. 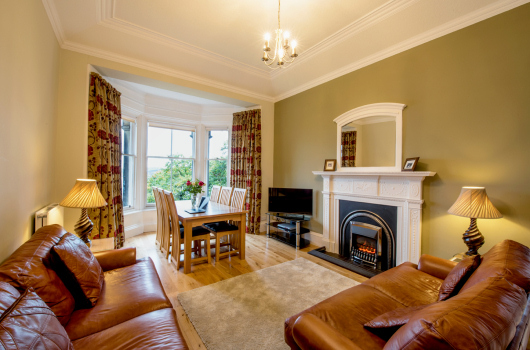 Our self-catering serviced apartments and cottages enjoy easy access by road or rail to the many commercial and industrial centres in the Edinburgh, Dunfermline and Grangemouth areas and to the international business world via Edinburgh Airport. 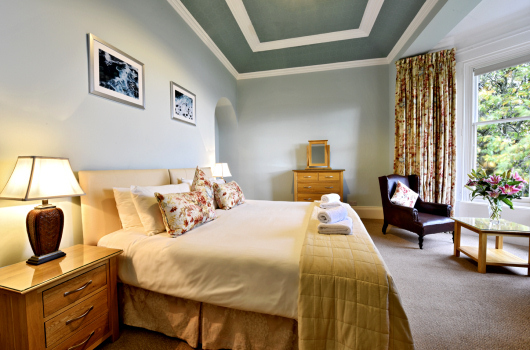 For relaxation, you will find all you could ask for in Fife, including St Andrews, and Highland Perthshire. Whether your interests are coastal walking, golf, on or off road cycling or scaling mountains, all of these and many more are easily accessible from Northcliff.